Fourteen foreigners and four Afghans were killed after gunmen dressed in army uniforms stormed Kabul's Intercontinental Hotel. 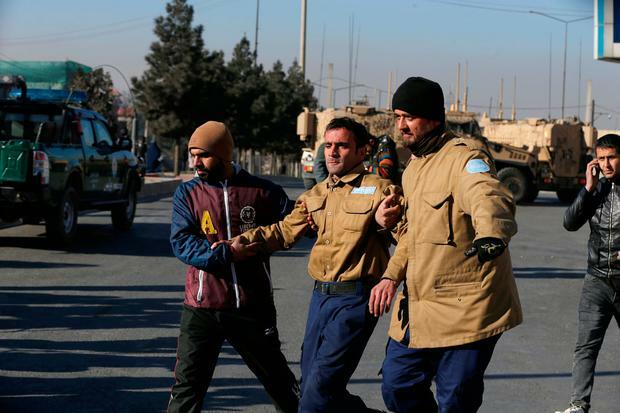 The battle between the gunmen and Afghan Special Forces for 13 hours in an overnight siege that caused heavy casualties among hotel guests, officials and witnesses said on Sunday. 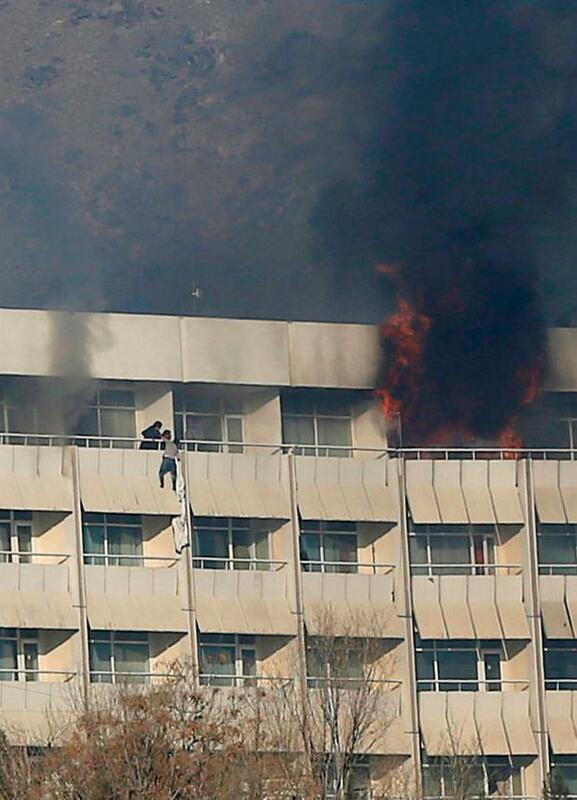 The Taliban claimed responsibility for the attack, which saw more than 150 guests flee as parts of the building caught fire, with some shimmying down tied-together sheets from upper-floor windows and others rescued by Afghan forces. Local airline Kam Air said around 40 of its pilots and air crew, many of whom are foreigners, were staying in the hotel and as many as 10 had been killed. But Zamari Kamgar, the airline's deputy director said it was still trying to locate its staff and did not yet know whether they were all safe. "They were shouting in Pashto (language), 'Don't leave any of them alive, good or bad. Shoot and kill them all,’ one of them shouted," Naseri said. It is unclear exactly how many gunmen were involved and even after officials said the attack was over, sporadic gunshots and explosions could be heard from the site. Danish said three gunmen were killed, while witnesses said four were involved and the Taliban said five. Taliban spokesman Zabihullah Mujahid sent a statement claiming responsibility for the attack, which he said had been carried out by five fighters. A statement from the interior ministry put the blame on the Haqqani network, a group affiliated with the Taliban, which claimed a previous attack on the hotel in 2011. As day broke on Sunday, thick clouds of black smoke could be seen pouring from the building, an imposing 1960s structure set on a hilltop and heavily protected like most public buildings in Kabul. The Intercontinental is one of two main luxury hotels in the city and had been due to host an information technology conference on Sunday. More than 100 IT managers and engineers were on site when the attack took place, Ahmad Waheed, an official at the telecommunications ministry, said. As Special Forces manoeuvred around the site, several armoured U.S. military vehicles with heavy machine guns could be seen close to the hotel along with Afghan police units. "I got a bed sheet and tied it to the balcony. I tried to come down but I was heavy and my arms were not strong enough. I fell down and injured my shoulder and leg." Although U.S. and Afghan officials say the Taliban has come under strain after the United States increased assistance to Afghan security forces and stepped up air strikes against insurgents, security remains precarious. 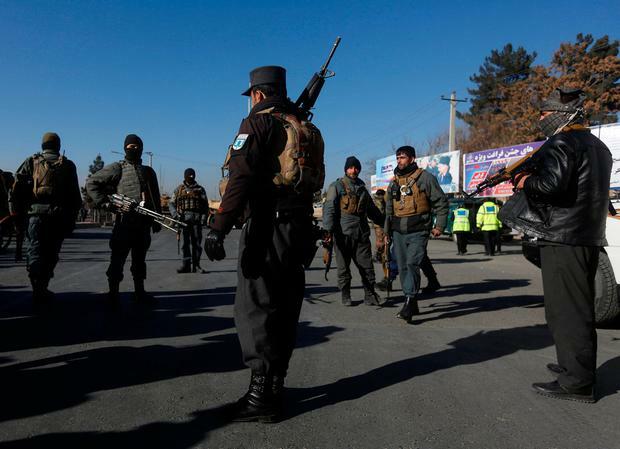 But the attack, just days after a U.N. Security Council visit to Kabul to allow senior representatives of member states to assess the situation in Afghanistan, may lead to a further tightening of security in Kabul. President Ashraf Ghani ordered an investigation and said militant groups were being helped by neighbouring countries. "As long as the terrorist groups have secure protection and safe haven, the region will not find security, stability," he said in a statement. U.S. ambassador John Bass condemned the attack and said the embassy was in close contact with Afghan authorities. "Such violence has no place here or anywhere in the world," he said in a statement. Captain Tom Gresback, spokesman for the NATO-led Resolute Support mission in Afghanistan, said they were also watching closely but it was not clear what role international forces took in suppressing the attack.